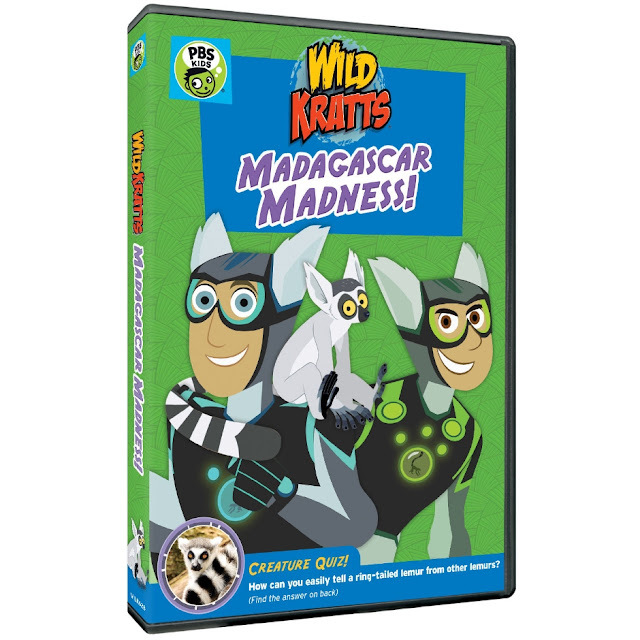 Arlington, VA – April 4, 2018 – Today, PBS Distribution announced the upcoming release of the new DVD “WILD KRATTS: MADAGASCAR MADNESS” featuring four episodes from one of the top rated Kids series on PBS Kids, WILD KRATTS. Kids will love following the Kratt Brothers all the way to Madagascar to explore the native world of lemurs and other action-packed adventures on this unique island in the Indian Ocean. I love animal adventures and these episodes are a great way for kids to learn about them! They are engaging and entertaining! “MADAGASCAR MADNESS” ($14.99 SRP) will be available on April 10, 2018 and has a run time of approximately 105 minutes. Episodes of Wild Kratts are also available for digital download.